The purest, strongest and most effective form of rapidly absorbable L-carnitine available on the market! Weight loss thanks to sensational suplementowi in a short time! Product as a liquid concentrate with good taste. HIGHEST CONCENTRATION UNTIL 1500MG IN EVERY SERVING! TREC L-CARNITINE GOLD is a highly concentrated formulation containing up to 1500 mg of highly assimilable, liquid L-Carnitine per serving. This substance plays a key role in the transport and final conversion of fatty acids into energy. The supplement was a special Quick-Sorb formula, which accelerates its absorption. It also contains pantothenic acid (Vit. B5) to support fat metabolism. 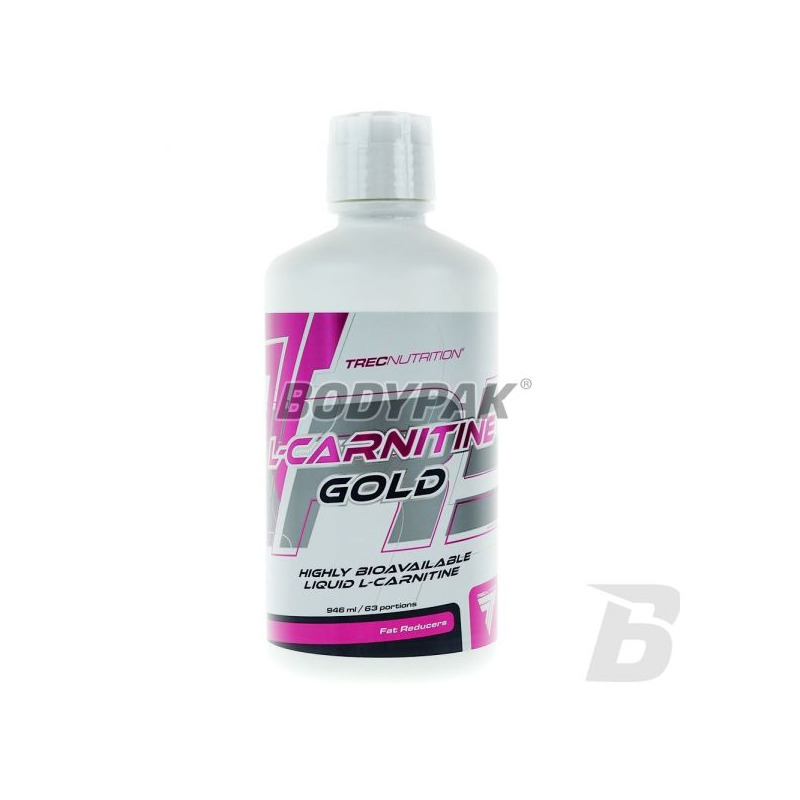 L-CARNITINE GOLD facilitates fat burning, energizing and increases the efficiency of the body during long and intensive exercise. L-Carnitine is a substance necessary in the energy metabolism of fatty acids. When muscles need energy to perform physical activity, L-carnitine "catches" the fat particles from the blood and transports them into cells, where the fatty acids are converted to energy. 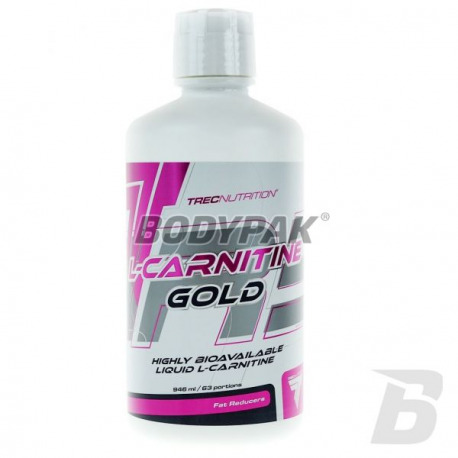 In addition to the basic and most important function for athletes, which fully L-carnitine ie. Accelerate the reduction of body fat, increase stamina, increase energy production, reduce the creation and storage of fat in the body, L-carnitine may also euphorizing effect - ie. To improve mood. TREC L-CARNITINE GOLD FAST fat loss without the effect JOJO! Shake well before use. The product can be dissolved in the water. 1 serving in the morning when you wake up. Składniki: woda, gliceryna - stabilizator, l-karnityna, kwas cytrynowy - regulator kwasowości, sorbinian potasu - substancja konserwująca, aromat malinowy, kwas pantotenowy (d-pantotenian wapnia), Quick-Sorb [kłącze imbiru (Zingiber officinale), agrest indyjski (Emblica officinalis), paprz (Capsicum annuum)]. Cena z kosmosu, efektów brak - nie polecam niestety..